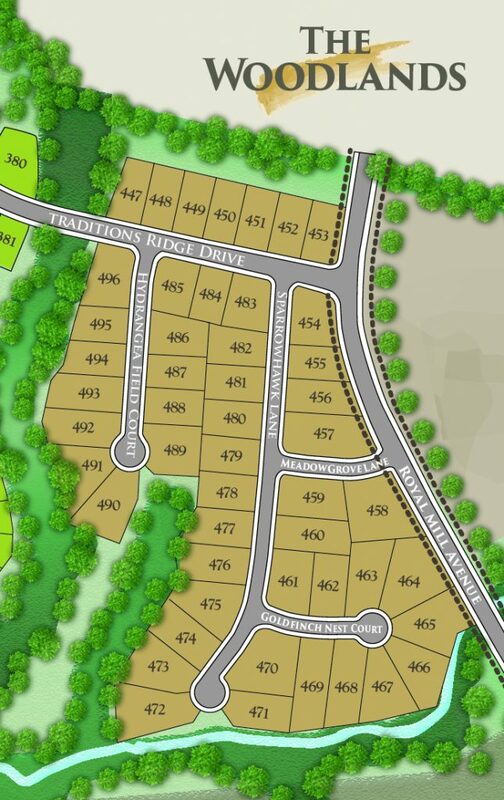 Located in the heart of Wake Forest, Traditions is a master-planned community. It’s rich with amenities and offers a culture to build lifelong friendships with your neighbors. A clubhouse, saltwater pool, and sand volleyball court are great gathering place for neighbors. Homeowners enjoy paved trails for relaxing walks or a jog located next to Wake Forest Reservoir. Pocket parks, as well as a small children playground, are included. All of this is just a mile from historic Wake Forest. From I-540, go North on Capital Blvd-US1. Take a right on Highway 98 and go approximately 3.5 miles. Take a left on Traditions Grand Blvd to Royal Mill Avenue. Woodlands in Tradtions will be on your left.